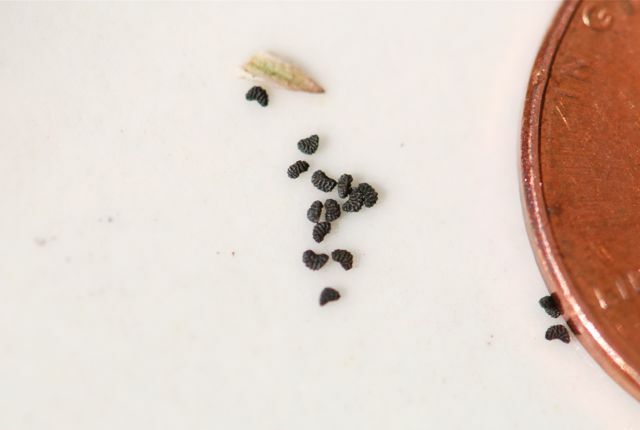 These mystery seeds are definitely some of the tiniest I have ever photographed. Will seeing the seed pods help? 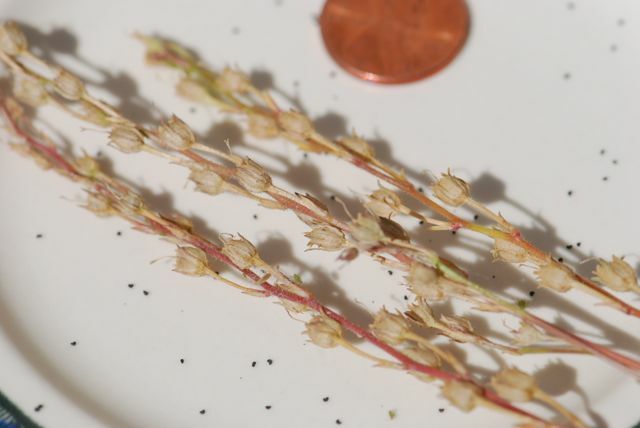 It is amazing such tiny seeds can grow into a plant. Do you know which one it is? My guess is foxglove seed. The second picture was a good clue. I wondered if toadflax was related to foxglove, because the seeds often look alike when the plants are related. Turns out they are in the same family, along with snapdragon and mullein. Good guess!